Growing up I watched my mother and father watch Gandi. Gandhi is a 1982 British-Indian epic historical drama film based on the life of Mohandas Karamchand Gandhi, the leader of India’s non-violent, non-cooperative independence movement against the United Kingdom’s rule of the country during the 20th century. Gandhi was written by John Briley and produced and directed by Richard Attenborough. It stars Ben Kingsley in the title role. The film covers Gandhi’s life from a defining moment in 1893, as he is thrown off a South African train for being in a whites-only compartment, and concludes with his assassination and funeral in 1948. Although a practising Hindu, Gandhi’s embracing of other faiths, particularly Christianity and Islam, is also depicted. It was an amazing movie and really showed the man and not what people thought he was. Gandi leaves a message to all people which I think is very important. There is so much hate towards one another in the world. Don’t worry about what others have to say. 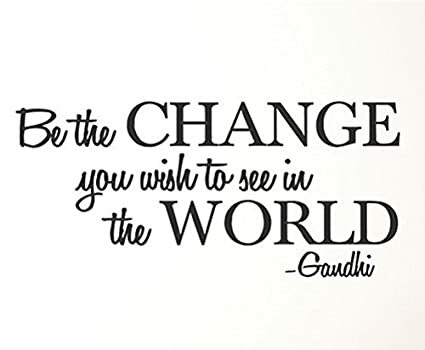 Be the change you wish to see in the world, for if you change then the world will change with you.